The E32 7-series cars have way too much electronics (read VERY EXPENSIVE computers & electronics) to be simple to jumpstart. There always seem to be owners asking questions about "How do I do it safely?" - and them in a panic as they can't get the doors open either if the central locking has no power.... in this case see my "Help me NOW!" locks page. 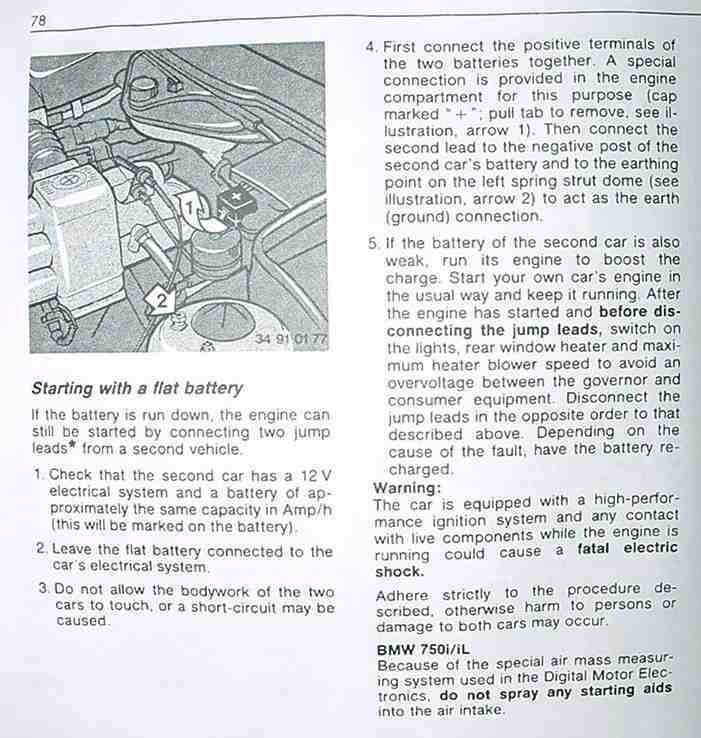 I'll let BMW explain about the procedure - I'm providing it here as a service to other owners. Simple enough? The key is the having the lights ON to absorb any surges before the electronics do. If you have a small battery in the trunk, DON'T JUMPSTART FROM THAT. It's for accessories only. 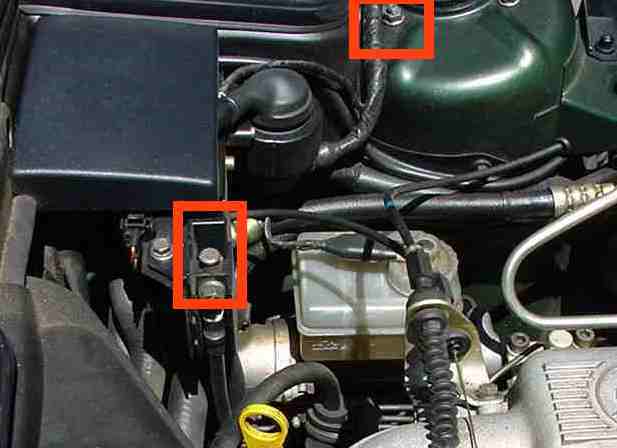 To make it really clear, here is the jumpstart point on my 735i - remember, the (main) battery is UNDER THE BACK SEAT.